Leave the developed world and you leave behind amazing coffee. But you welcome other cultures’ ways of doing things. So don’t panic! The Arab world has coffee, but it’s definitely different to coffee in most other parts of the world. 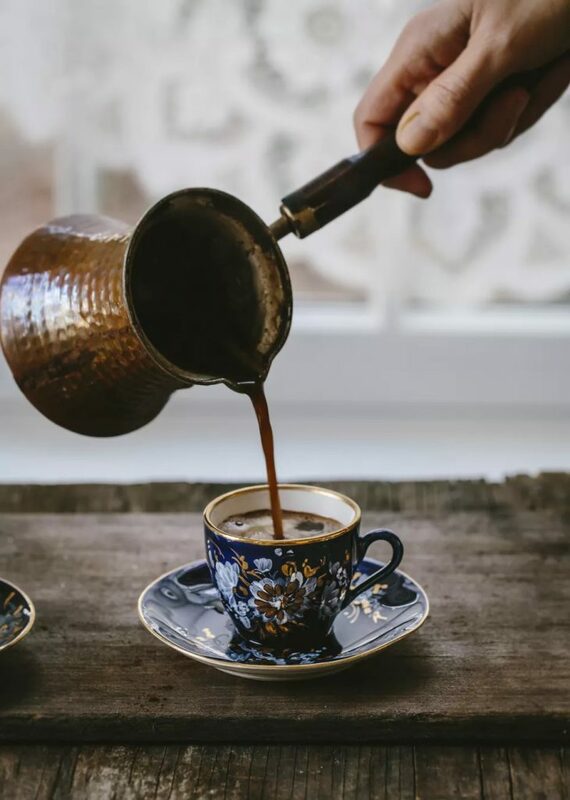 Arabic coffee (قهوة عربية, qahwah 3arabiyya, or more often just qahwah) is the coffee drunk all over the Arab world and in other Middle Eastern countries, including Turkey, Iran and parts of North Africa. This serves as a FAQ on Arabic Coffee — what it is, where to get it and how to drink it. Where did Arabic Coffee come from? How is Arabic Coffee different to Turkish Coffee? Is Arabic Coffee made of Arabica Beans? Where can you buy Arabic coffee beans (or ground coffee)? What equipment do you need to make Arabic Coffee? How do you make Arabic coffee? When do people drink Arabic coffee? Where do you drink Arabic coffee? There are two very distinct kinds of Arabic coffee. The one we’re most familiar with is the Levantine kind; but there is a distinct, Peninsular kind, made with dramatically lighter-roast beans and more spices. Arabic Coffee is coffee made Arab style. It’s sometimes called “Turkish Coffee” even in Arab countries, like in Egypt. Apart from that, many things can change. People have very strong views about what Arabic or Turkish coffee is, but the views vary a lot between people. Origin of the beans: The origin of the coffee doesn’t matter for Arabic coffee. You can have an Ethiopian single origin, an Indonesian blend of Arabica and Robusta or whatever. 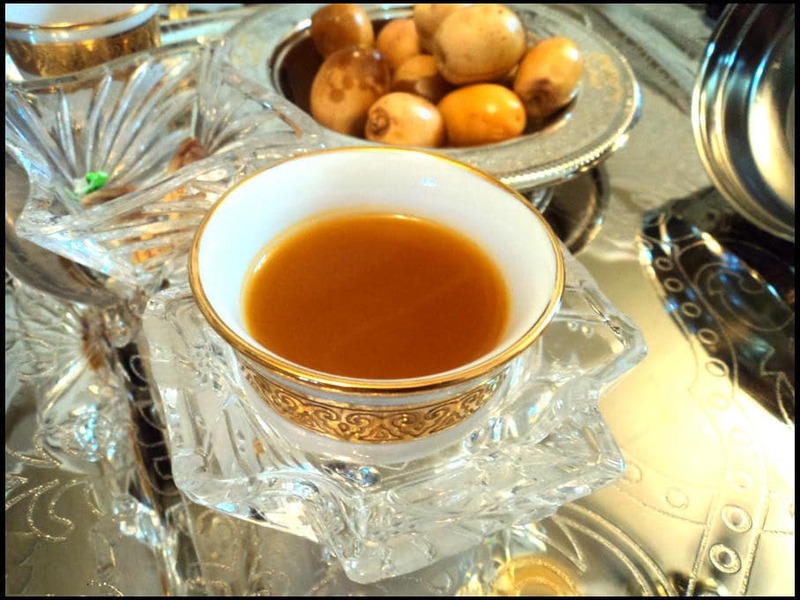 Degree of roast: The roast degree of Arabic coffee doesn’t matter either — though it varies by region (see the description of Peninsular Arabic Coffee below). It can be light, medium or dark roast (as long as it’s a complete roast that’s fully developed). I’ve heard people claim it must be light, but it doesn’t. Sugar: Arabic coffee does not have to have sugar. It can be served lightly sweet (mazbuuTa) or straight (saaDa). Neither is mandatory. Most people I know like it lightly sweetened. Spices: Finally, some people think that Arabic coffee necessarily has cardamom or other spices in it. Not true. It can be served unflavoured or flavoured, typically with cardamom spice (ground with the coffee). With those variables, there are two distinct kinds of Arabic coffee, from the Peninsular region, and from the Levant. Coffee in the Peninsular region (Saudi Arabia, Yemen, Iraq and the UAE) is made with lightly roasted beans. It’s often spiced with cardamom, saffron (which gives it a golden colour), cloves and cinnamon. Levantine Arabic coffee is usually only spiced with cardamom (and doesn’t have to be spiced at all). This coffee is preferred in either dallah (دلة‎) or kanaka, and served similarly into small coffee cups. It’s often served with dates or sweets. Syrian/Levantine Arabic coffee, made with darker roast coffee. Also typically served with dates or sweets. 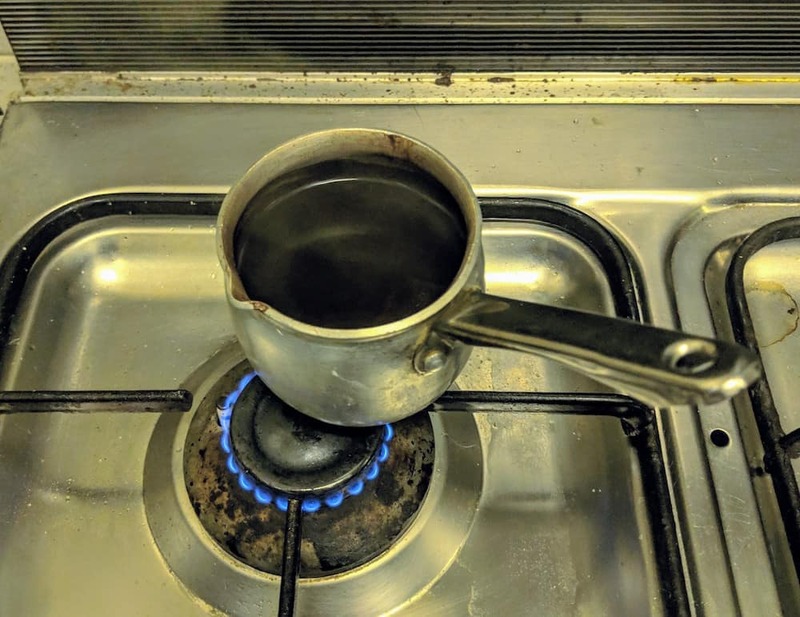 Arabic coffee made in the Levant (Syria, Jordan, Palestine and Lebanon) is made with darker roast coffee, as you can see in the picture. This is much more similar to Turkish coffee. Unlike Peninsular Arabic coffee, Levantine Arabic coffee is only ever spiced with cardamom — and doesn’t have to be spiced at all. The word “coffee” itself is of Arabic origin. The word “coffee” entered the English language via the Dutch koffie, borrowed from the Ottoman Turkish kahve, in turn borrowed from the Arabic قَهْوَة (qahwah, “coffee”). In most Arab countries, it’s pronounced qahweh, with the letter qaff (ق) pronounced. In Iran it’s pronounced qahveh, as they pronounce all w sounds as v sounds. 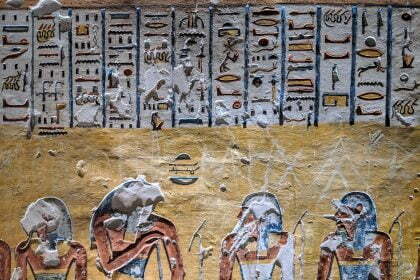 In most of Egypt it’s pronounced ‘awheh, as the qaff is pronounced as a glottal stop, and the last part (‘eh’) lightened with the Egyptian open-palate accent. In southern Egypt it’s pronounced gahweh. It’s all the same drink. It’ll vary, but more with who is making it. According to a highly apocryphal (but fun) legend, coffee was discovered in Yemen around a thousand years ago. Apparently a goat herder named Ali saw that after his goats ate the fruit of a certain shrub they became more energetic. He tried it himself and observed the same effects. Ali took it to the local monastery and used it to keep himself awake during long periods of meditation, but the local monks condemned it as a narcotic and threw the fruits onto the fire. It smelled wonderful as it roast, so they thought maybe they’d give it a second chance. History was made. Arabic and Turkish coffee are very similar. Both Arabic and Turkish coffee are served black, made with finely ground coffee, with the grounds served with the coffee. The main difference is that Turkish coffee usually does not contain cardamom. Arabic coffee usually contains cardamom, and/or other spices (source). Both Arabic coffee and Turkish coffee can be sweetened, be made of beans of different origins and be roasted to different degrees. It sounds likely doesn’t it? Arabic coffee is not necessarily made entirely of Arabica beans, but it usually is. This is partly just geography (unsurprisingly, Arabica beans originally are from the area), and partly market supply (most of the beans traded on open markets are Arabica). Most Turkish/Arabic coffee that’s supermarket grade is made of coffee of unknown origins. 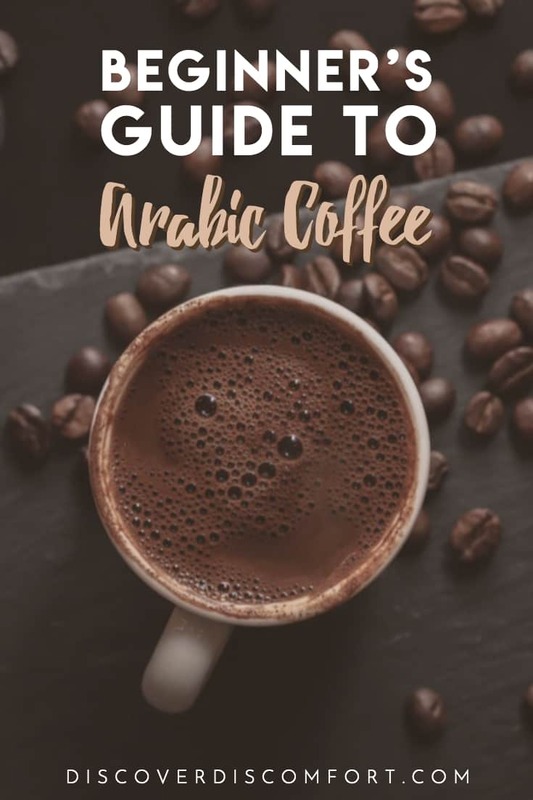 However, I know that some Arabic coffee is made of an Arabica/Robusta blend, much like most instant or supermarket-grade coffee, for the additional caffeine kick that Robusta provides. Robusta coffee is grown mostly in South East Asia. It’s usually not as tasty, has around twice the caffeine per gram, and is a lot cheaper. Thus, it’s often blended in to cheaper coffees, including mass-grade instant coffee. At the same time, you can go to a high-end coffee shop in Egypt like Shaheen (see the next section) and get a quality coffee bean with a broad origin, like Columbian or Brazilian. You can buy Arabic coffee at neighbourhood corner stores (known as “supermarkets”) or from coffee roasters. In corner stores, a smaller one will typically just have two kinds: with cardamom (حبهان or Habbahaen in Egypt; هال or hael elsewhere in the Arabic-speaking world), or without cardamom. Slightly larger stores will offer a few brands, plus will also offer a variety of roasts. 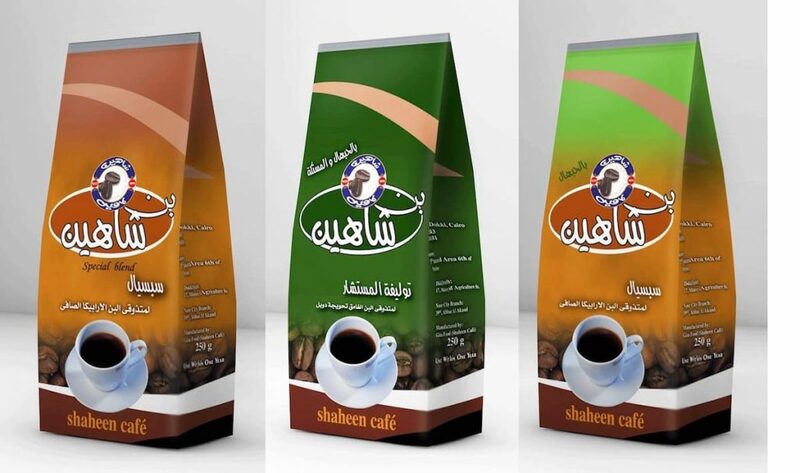 The best Arabic coffee we bought was from a branch of a large roaster that supplied cafes (as well as selling retail) called Shaheen Coffee. 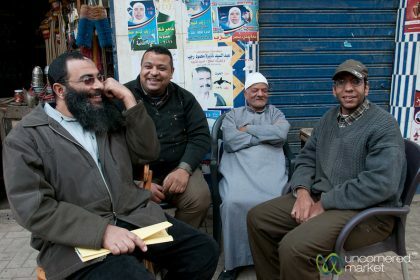 Look for it on Google Maps and you’ll find a few locations around Cairo. It’s not expensive, with a 250g bag of coffee costing around 40 (depending on the type of bean). Whether you want the beans ground. Important: they won’t even ask this. If you want whole beans, you have to be clear. You pay, get a ticket and go give it to the people behind the counter. 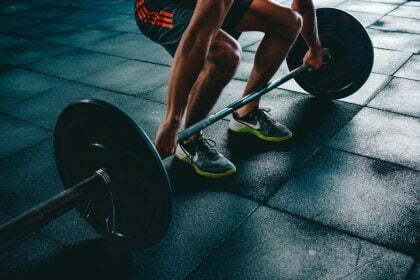 A few people will push in ahead of you. I was OK with this because I needed the time to figure out what the hell was going on anyway. You can also get coffee in a chain of stores known as Abu Auf. They sell nuts and sweets too. For the best Arabic coffee, grinding it fresh is essential, according to the crew at Barista Hustle. Unfortunately, the vast majority of Arabic coffee is sold pre-ground. But just because this is the case it doesn’t mean it’s the best! To be able to grind fine enough you need a grinder that will likely cost you more than $100 in the US. A spice grinder will do the trick, too, as will a mortar and pestle if you want to work hard. If you want to use a hand-grinder, be prepared to spend five minutes grinding enough coffee fine enough for one serving. But your guests will appreciate it! This takes a few different forms across the Middle East and North African world. The most common kind is a small stovetop single or double serve boiling pot. In Egypt this is known as a kanaka. A single-serve kanaka can be really tiny – maybe 60-90ml (2-3 oz.) on average. Coffee is brewed and served in a dallah (دلة‎) in the Gulf and Arabian countries. These are more ornate, with a handle. Arabic or Turkish coffee is traditionally served in small cups known as finjaan or fanajiin as plural. In Egypt, this is pronounced fingaan or fanagiin. 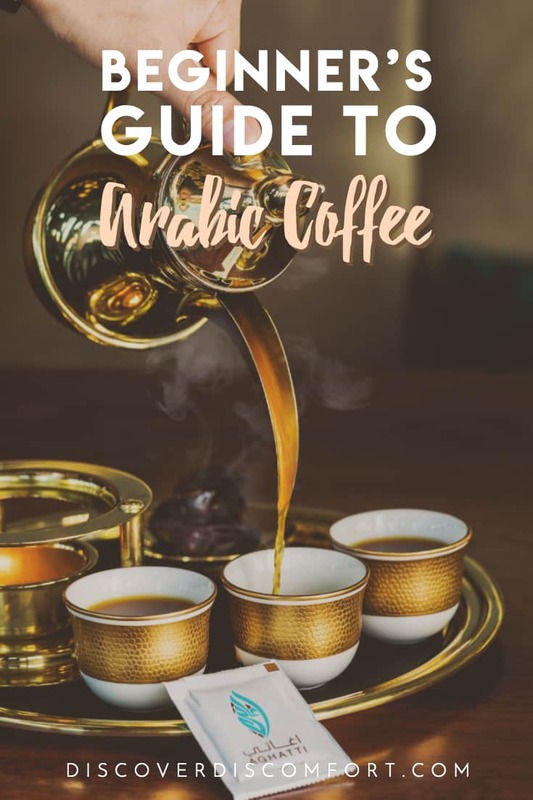 Coming from the world of intensely scientifically prepared espresso drinks or pourovers, it was very weird that nobody could tell me exactly how to make Arabic or Turkish coffee, with measured quantities. It’s also liberating. You don’t have to worry too much about temperatures or weighing things. The most important variable is the quality and freshness of the original coffee. Stir in water until it’s nearly full (about 90ml). It can be pre-heated, but not boiling yet, so the grounds are mixed in evenly. Put it on heat and gradually bring it to the boil. Not fast – slow heat. Watch for the grounds and oils collecting at the top. That’s when it’s ready, shortly after it has boiled. Don’t let it boil over. That’s messy and bad luck. Arabic coffee is much more social in Egypt and the Middle East than coffee is elsewhere. It combines the social aspect of coffee in the West with the social aspect of alcohol. If someone comes over, really the only thing you serve is coffee (or tea). The “coffee” or “tea” is just as strong as it is elsewhere in the world. Entire families will skew one way or the other. If a visitor to a coffee-drinking household prefers tea, the household can make a drama about it. Egypt has a hot-blooded and dramatic culture, after all! 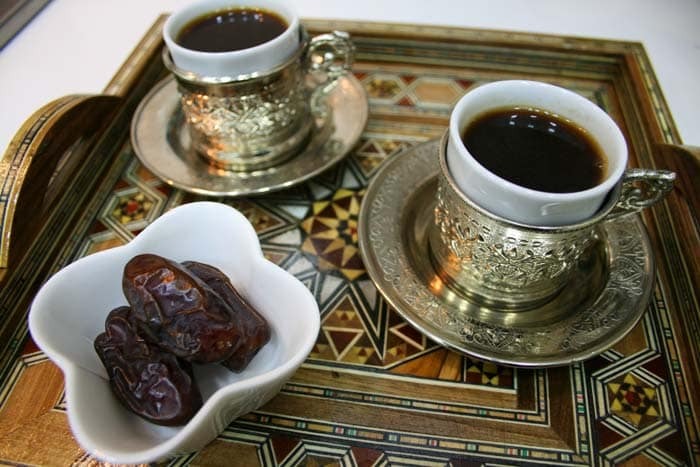 Unlike in Western countries, where people often stop drinking coffee in the afternoon, people in Arab countries drink Arabic coffee until late in the evening, even in the early hours of morning. People do drink coffee in the mornings, but it is different to the morning ritual of coffee that you see in the west, on the way to work. For example, people don’t tell me things like “I’m terrible in the mornings until I’ve had my coffee” or “but first, coffee”. It’s not to say people don’t enjoy it; it’s just not as intense. People who do drink coffee functionally in urban Cairo are likely to have instant coffee or a simple European-style coffee at home, espresso from an automatic coffee machine at the office or to grab one from a cafe on the way, just like in any other major city around the world. Apart from in your home, you drink Arabic coffee in an ‘ahweh (قهوة), which also means coffee, confusingly. 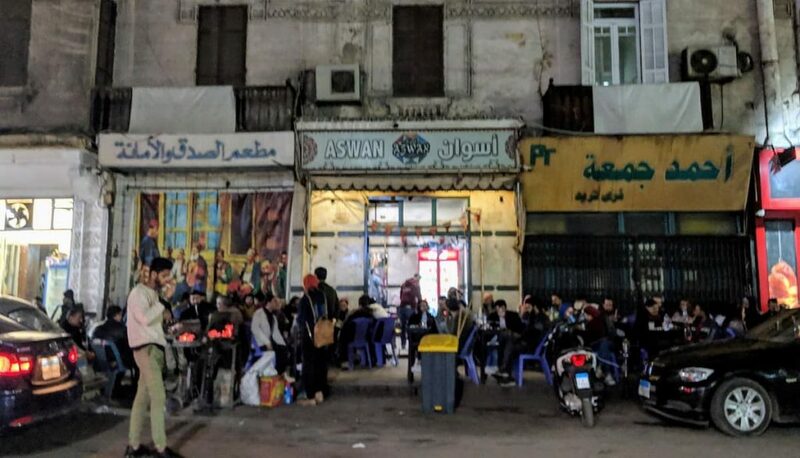 An ‘ahweh is a traditional cafe where people — usually just men — do three things: drink coffee, smoke shesha and chat. Depending on the type, they may also stay up extremely late. There are a couple of levels of these: super local, young local hangouts and then trendy foreigner cafes. The super local ‘ahwehs are where men from the area go to congregate and relax. I’d liken them to a small suburban bar. There’s a regular crowd that goes there, and you can go there if you don’t stand out. People will be nice if you’re quiet and don’t disturb their retreat. If you see a place around the suburbs where you see men sitting and smoking, doing pretty much nothing: you’ve seen an ‘ahweh. From just looking (and noticing that you’re being looked at) you can tell you’d be an outsider at most of them. You can disturb their peace by sounding different, looking different or just being different. You don’t want to go into one unless you’re alone, willing to speak some Arabic (they’ll know the word “coffee”), and male. Definitely male. You almost never see women in an ‘ahweh. 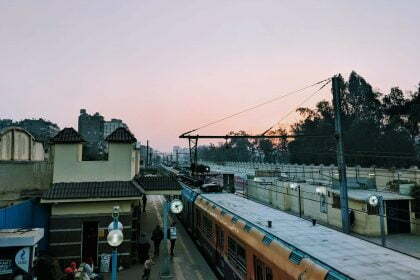 Like many parts of Cairo where you have to be careful about travelling as a solo woman, you would feel unwelcome as a woman in many. The only way to tell if women are welcome is to see if there are other women there already. I can guarantee if you do see women in a suburban location, they’ll likely be wearing conservative dress and covering their hair. These ‘ahweh spots are generally weird-looking institutions. They don’t seem friendly to foreigners or outsiders, especially as you get more suburban. So much so that I didn’t even get a photo of one up close. 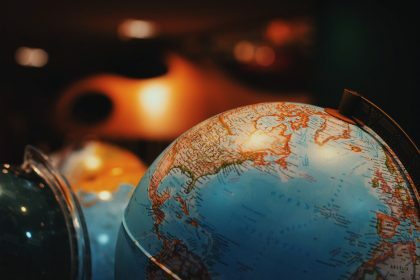 These are probably where you should go to experience a bit of local culture. They’re vibrant, bustling and a lot of fun! There are clusters of them in cooler parts of the city, like in Heliopolis. You can also drink Turkish coffee at cafes downtown in the big cities. These places are typically known as “cafes”. They’ll also serve food with often a full meal menu, plus cappuccinos and other drinks. They’re distinct because in an ‘ahweh, typically all you can get is coffee and a shesa pipe. Maybe a few snacks. A cafe is a good place for you to try a shesha pipe, too, if you’re curious (though I wouldn’t recommend it). Previous PostIs Egypt Safe for Women Travelers? 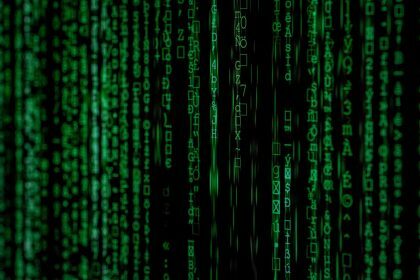 Next PostHow Hard is Korean for English speakers?